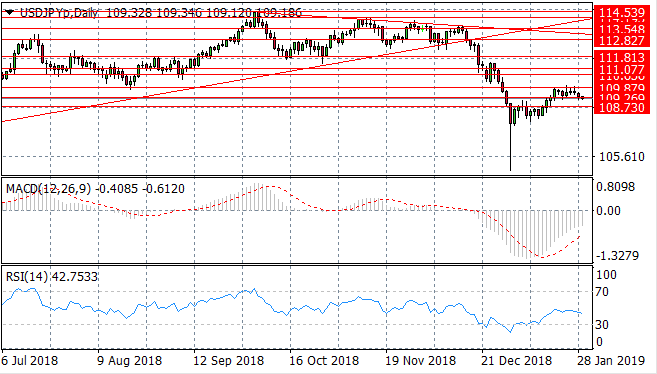 The USD/JPY pair appears to have stalled just below the 109.87 price level which has formed as a sticking point for the pair, representing a previous support level and therefore a break would prove significant. MACD is continuing a more moderate bullish trajectory however, RSI has turned more bearish. 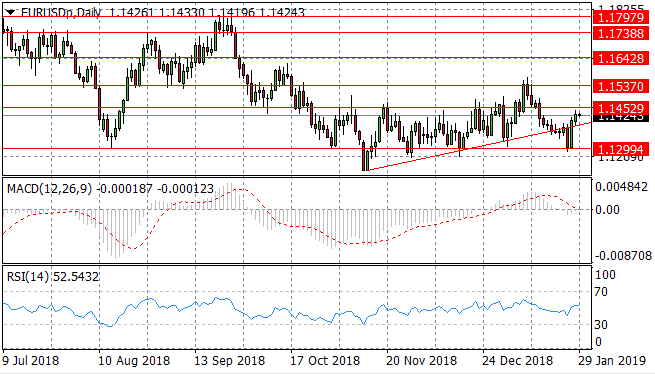 The EUR/USD pair has broken a key support area to test the 1.129 price level which resulted in a sharp bullish rebound and subsequently a break of the ascending trendline. The next target for buyers is the 1.145 price level. However, momentum indicators are moderately bullish. The GBP/USD pair continues its rally to once again break the 1.292 price level and the 1.306 resistance level. The question remains; can the rally continue to the previous high of 1.330? Price action has turned more bearish and momentum indicators signal a potential reversal. The USD/CHF pair has once again been rejected by the 0.997 resistance level. 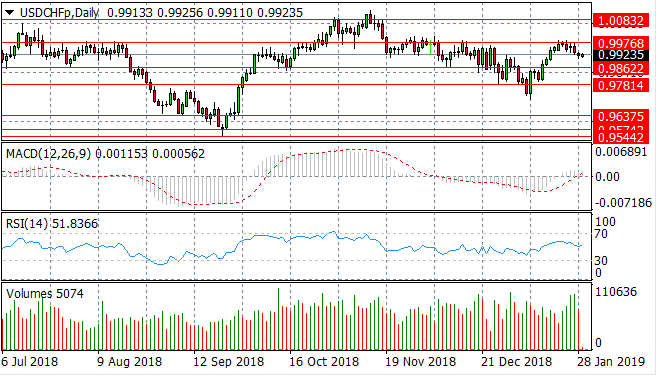 Price action is now heading back towards the 0.986 price level. Momentum indicators have turned bearish; with MACD breaking the zero line to the downside and RSI pulling back towards the default line. 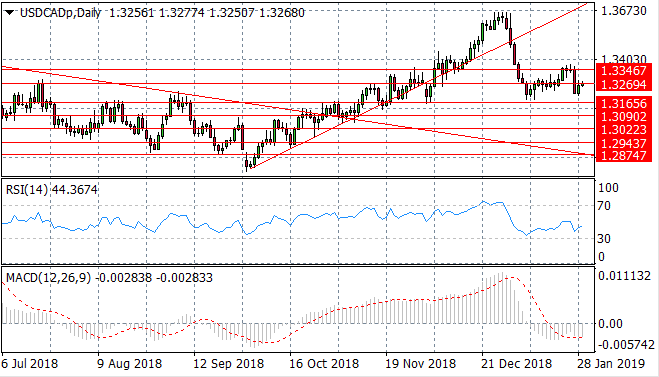 The USD/CAD pair has established the 1.334 price level as a new key resistance area. 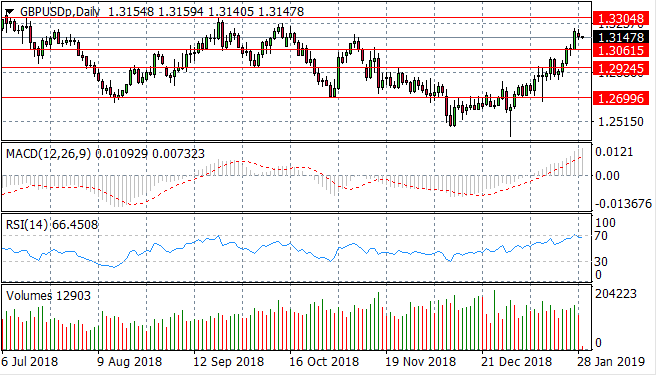 Price action is climbing back from the 1.316 price level to test the 1.326 support level once again. Momentum indicators appear to be making a bullish recovery but remain in bearish territory. 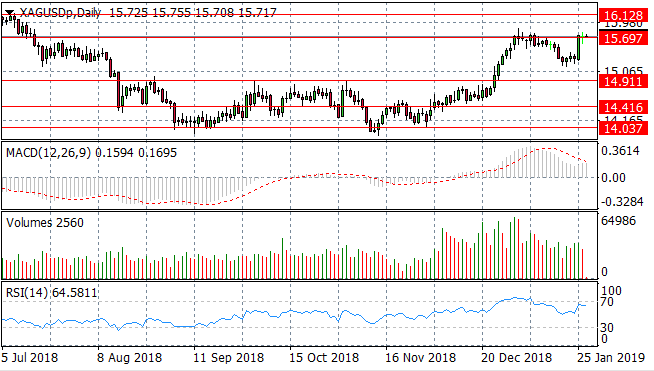 Silver experienced a spike in bullish momentum which has resulted in the metal testing the 15.69 price level. The next target for buyers is the 16.12 price level. There are signs of a potential reversal with MACD turning more negative and RSI pulling back from overbought conditions. 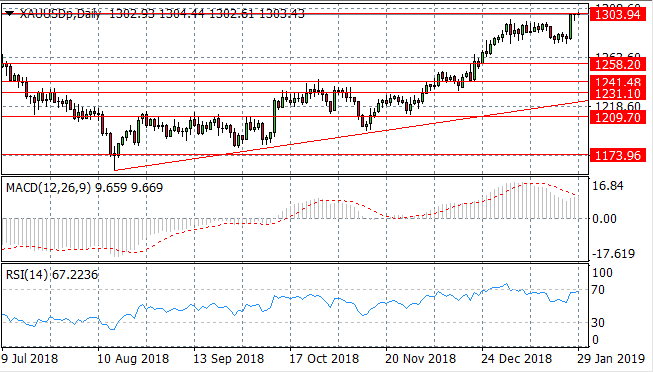 Gold has continued a rally towards the 1303.94 price level after a short pause. A break would prove significant as the price level represents a recent price high. 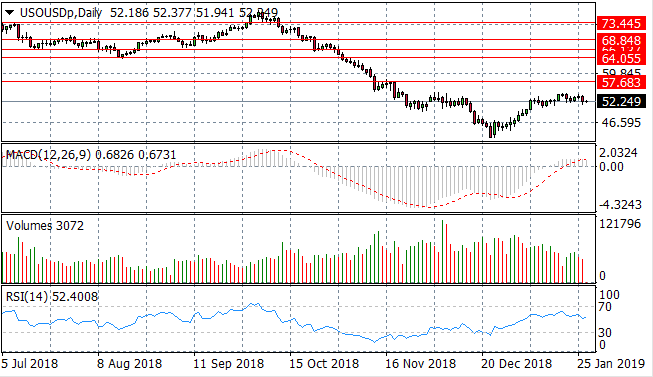 Momentum indicators support the bullish sentiment with MACD extending its bullish position and RSI approaching overbought conditions. WTI buyers have returned with moderate bullish moves to take WTI beyond $50 per barrel. The move has been supported by a bullish break of the zero line on MACD and an upward trajectory on RSI although momentum is moderate. Selling volume has risen in recent trading.